Authorities in Sweden’s capital say a beer truck was driven into a crowd of people on a pedestrian street and into a department store in the center part of the city on Friday. At least two people have been killed and many more have been injured, according to local reports. Swedish newspaper Aftonbladet quoted a witness who described hundreds of people running away from the incident which was close to Ahlens mall. 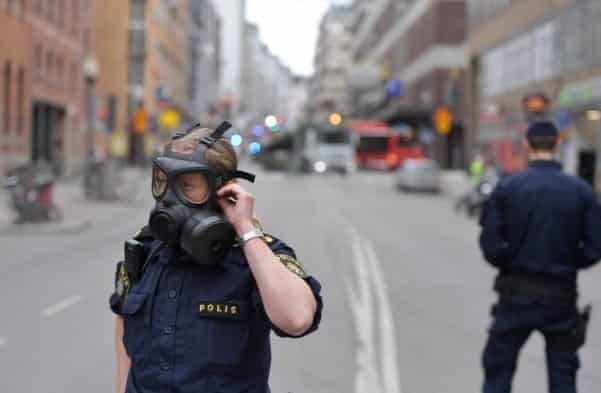 “A vehicle has injured people in Drottningatan,” said police spokeswoman Towe Hagg. Live footage of the scene showed smoke rising from the department store after the crash. This entry was posted on April 7th 2017 at 12:07pm/12:07 and is filed under Live News Column 1, World News. You can follow any responses to this entry through the RSS 2.0 feed.